Her heart is her own―but her hand in marriage is another matter Lady Charlotte Featherington is destined for great things on the marriage market. After all, as the beautiful daughter of a marquess, she should have her pick of the eligible nobility when she debuts. She, however, has love at the top of her list of marriageable attributes. And her romantic heart falls hard for one particularly dashing, attentive suitor. Sadly for Charlotte, her noble father intends her betrothed to be someone far more dull. I'm pretty much obsessed with Regency romances of all kinds. I like Georgette Heyer, I adore Julia Quinn, and I collect Julie Klassen's books. I've read a lot in the genre! 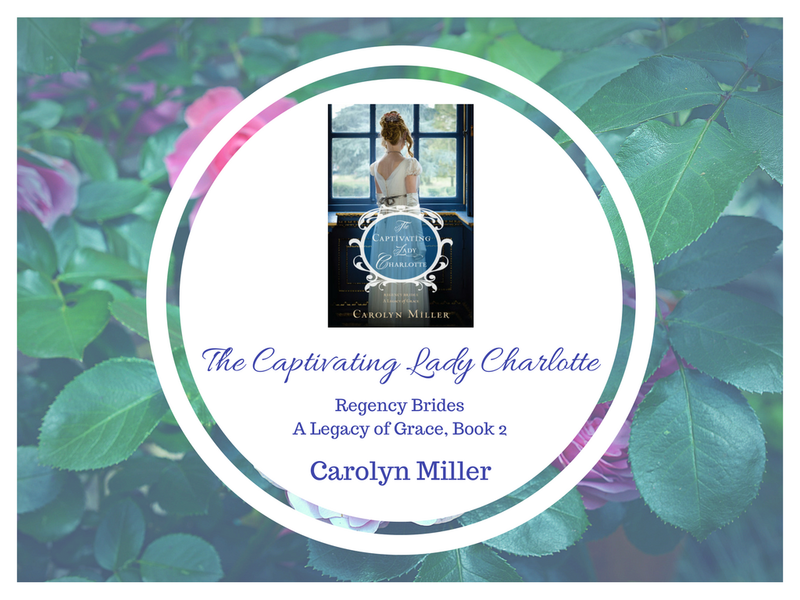 A few months ago, I had the chance to read a new author in the Regency genre, Carolyn Miller. 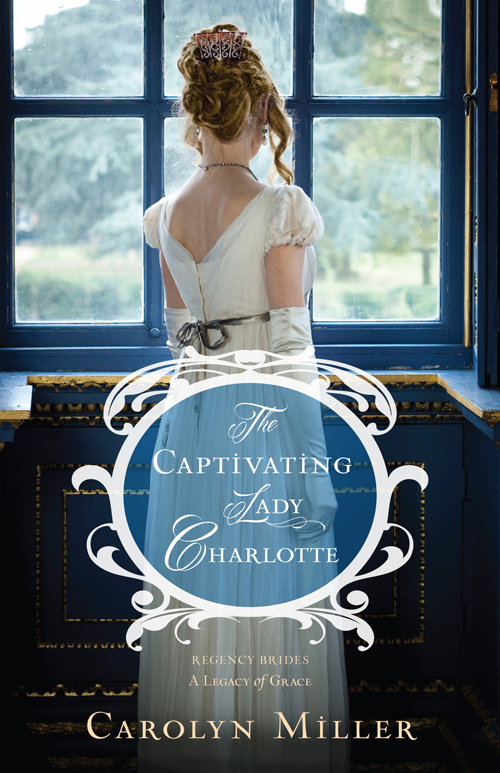 The Elusive Miss Ellison was a solid start to this series and I'm happy to say The Captivating Lady Charlotte is continuing in that vein. I'll start by saying these books are really faith centered, so if you don't like religious-based fiction, you probably won't enjoy these. 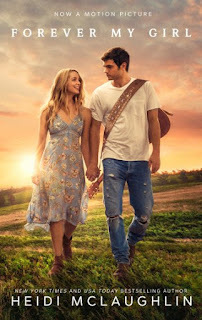 That said, if you're familiar with the genre and love romance, you'll want to give these a look. This story is different than the first book. Lady Charlotte Featherington is rather flighty and naive. As a character, I admit, there are many other heroines I have liked better. She's more of a Kitty Bennet than a Lizzie Bennet. Charlotte is just a little too swayed by her mother and doesn't seem to know her own mind. One minute she's in love, the next minute she's pining over another, and then she's engaged! Thankfully, William, Duke of Hartington, is just enough like a staid Mr. Darcy or even a brooding Rochester type to hold my interest. The Captivating Lady Charlotte unfolds at quite the awkward pace. It's a bit here and there, buttttt it works well with Charlotte's personality if that makes sense! 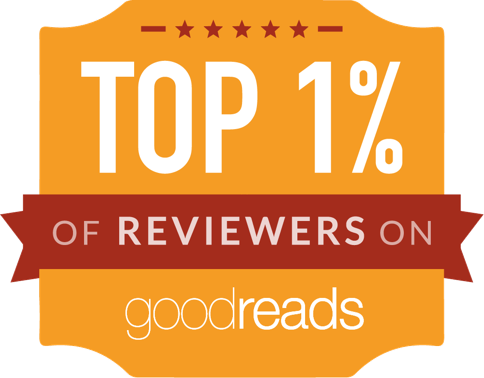 I admit to not seeing that plot twist at the end coming, which is rare for this reader. When all is said and done I liked the mix of romance, mystery, and faith. Sparks and fire are great, but the message of deep and abiding love is one that this reader can appreciate!